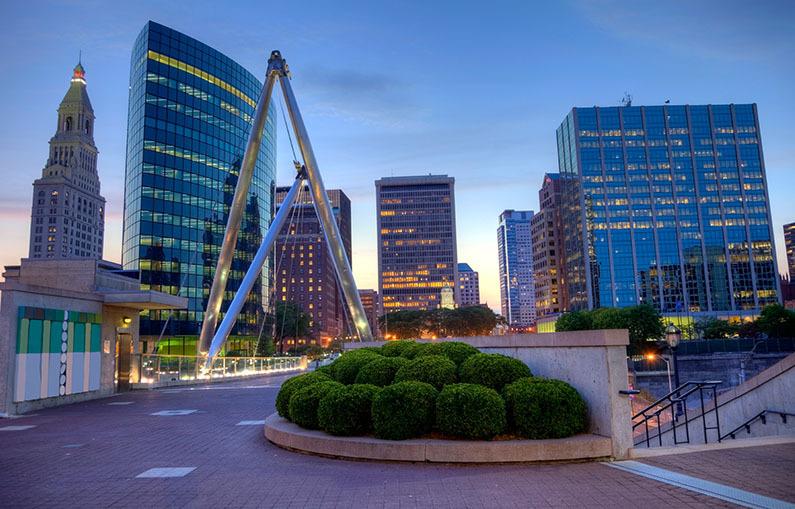 With origins dating back to 1637, Hartford is among the oldest cities in the nation. As famed resident Mark Twain once said, “Of all the beautiful towns it has been my fortune to see this is the chief.” The capital of Connecticut, this noteworthy town is steeped in history and New England charm. Likely Hartford’s most famous resident, Mark Twain long ago committed the stories of his childhood to pen and paper. Comb through his words and you’ll find a consistent homage to Hartford, where he spent his boyhood. At the Mark Twain House and Museum, visitors have the unique opportunity learn about Samuel Clemens’ life while exploring his Victorian-style home. Part of a conservancy effort, Elizabeth Park is home to a magnificent rose garden—one of the oldest in the nation. With sweeping walking trails, 100 acres of gardens, and a café, the park is open to the public at all hours, all year long. Since 1897, the prized rose garden has bloomed for a spring-hungry public. One of Connecticut’s most prominent cemeteries, the Cedar Hill Cemetery hosts a plethora of stunning wildlife. The site serves as the final resting place of Thomas Hopkins Gallaudet (founder of the American School for the Deaf), Wallace Stevens (poet), and Katherine Hepburn (actress). Spend an hour walking these hallowed grounds, and experience the peacefulness that they exude. Perhaps one of the most peculiar attractions in Hartford, the CRRA Trash Museum explores the history of trash management in the city. Watch the recyclables be deposited and sorted; stop by Sustainable Dave’s exhibit, exposing the sheer amount of trash a single person can make in a year. The Trash Museum is nothing if not fascinating, and takes a worthwhile closer look at something we don’t usually like to look at up-close. To plan your trip to Hartford or for an extended guide of things to do, visit the official Hartford city guide at http://www.hartford.com.